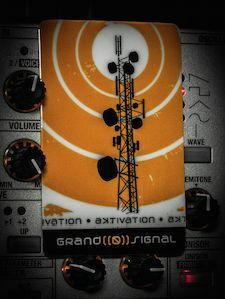 Content: Grand((Ø))Signal (GrandSignal) is a new Belgian project set up by Tcheleskov Ivanovitch (Grandchaos) and Jacky Meurisse (Signal Aout 42). Both artists can look back at a serious background with their involvement in many different bands. “Aktivation” is a surprising digital work, which I can already tell you is a true masterpiece in good-old vintage EBM. 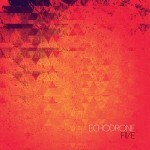 The album features 8 songs and the least I can say is that there’s not a single one to throw away. “You Can Dream” is a pure sonic uppercut to start off with. The song clearly reveals the influences and musical background of both artists. There’s the minimal electro approach of Grandchaos mixed with SA42’s EBM style mixed with a flavor of new-beat. The spooky vocals clearly remind me of SA42. “New Sensation” sounds more inspired by new-beat influences while some female vocals are pure dance-like. Jacky Meurisse performs the backing vocals here. The absolute potential hit comes up next and is entitled “Control Your Body.” The title sounds pure EBM-devoted, but the production is absolutely surprising and phenomenal. This song reveals tribal influences, which even reminds me of Juno Reactor while the electronics are in the purest minimal-EBM vein of Grandchaos. This is a true masterpiece! We next get a few more outstanding cuts like the solid and totally SA42 orientated “Life Is Emotion” plus the trance-dance-body sounding “We Resist.” The last mentioned song is an instrumental version produced with great studio effects. It’s a bit groovy-like. A last essential cut is “Aktivation” for its dance-EBM vibes. The song is pretty dark-minded and once more reflects the multiple influences and musical background of Ivanovitch and Meurisse. Conclusion: “Aktivation” is one of the hottest EBM surprises of the past few months and one of the best albums in the genre that I have heard this year. The question is if this album will remain a pure (occasional) side-project or if Grand((Ø))Signal will move on as a real band. They have the potential to become a new EBM-phenomenon! Best songs: “Control Your Body”, “We Resist”, “You Can Dream”, “fAktivation”.